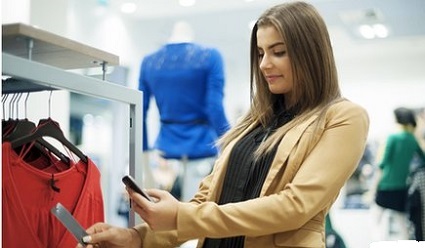 While a recent New York Times article about how stores are using smartphone Wi-Fi signals to track shoppers’ movements might have unnerved some individuals, the brick and mortar stores are only doing what online shopping sites like Amazon have been doing for years. Besides, the ability of retail outlets to know how we shop and what we are looking for can lead to some of the best deals and biggest discounts. While in-store smartphone tracking may have both its supporters and detractors, there are other aspects of smartphone shopping that legitimately raise concerns. 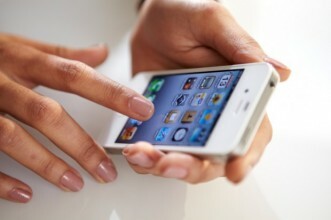 The small size and portability of mobile devices are the same qualities that make them prone to being lost or stolen. And if they’re not password protected, any data stored on our devices can be exposed and exploited. Make sure you are dealing with a reputable web site. Whether you are directly accessing a retail web site or using a custom-built mobile app, look for signs that your data is secure. Only download apps that you can trust and avoid apps that require you to store credit card information on the phone itself. Avoid using open networks. Only use secure wireless networks and avoid open networks which could make your personal data available to other users. Be alert for phishing attacks. Mobile devices can be more vulnerable to phishing e-mails because spam filters are less effective and because it’s often harder to recognize the source. Be extra careful about opening e-mails with attachments or clicking on unknown links. Always use a credit card. Credit cards offer more protection against fraud than debit cards or other forms of “cash.” It can be a good idea to use a separate credit card for all your online and mobile shopping transactions, so any fraud is isolated from business and other credit card use. Use different passwords for different sites. Don’t use the same password for all your online or mobile accounts. If a password is intercepted or stolen from one account, it makes all your other online transactions vulnerable as well. Keep software up-to-date. Make sure your operating software and apps are up-to-date. Manufacturers and developers regularly offer updates to eliminate potential security weaknesses. Also, make sure you lock your smartphone when it’s not in use.